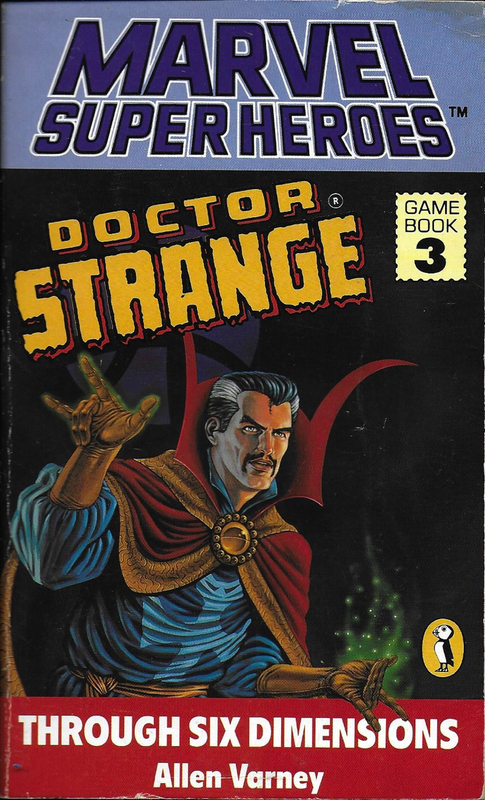 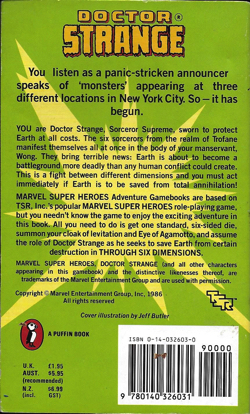 Description: This is game book 3 of the Marvel Super Heroes series. 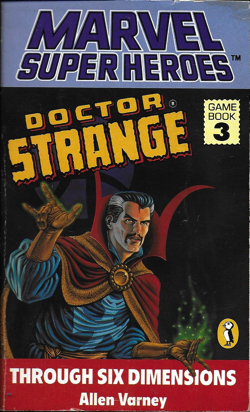 This is one of those cool game paperbacks made in the 1980s where you read the story and make decisions on what you want to do then turn to that page that corresponds to your choice. It comes with a perforated card with Doctor Strange's stats on it in the front of the book.